President Donald Trump says his administration was „looking at“ antitrust proceedings against tech giants Google, Amazon, and Facebook. Trump has previously called the three companies a „very antitrust situation“ but didn’t comment on breaking them up. President Donald Trump says his administration was „looking at“ antitrust proceedings against tech giants Amazon, Facebook, and Google. 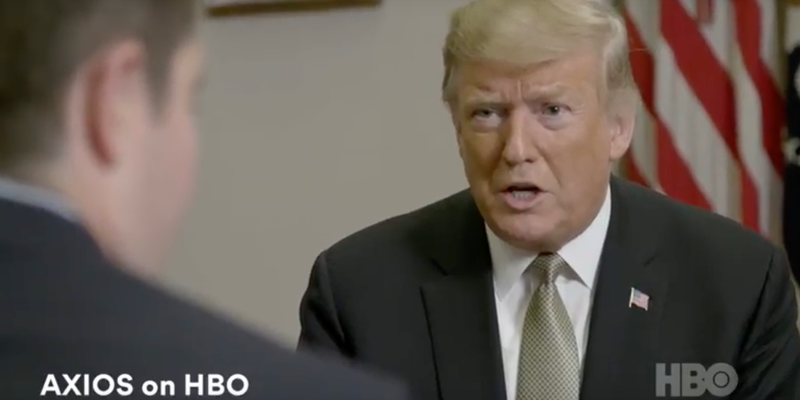 In an interview with Axios‘ Jonathan Swan and Jim VandeHei on the news site’s premiere HBO show Sunday night, Trump said the European Union’s $5 billion fine against Google made him consider pursuing regulation. „But you’re in charge now,“ Swan interjected. „I am definitely in charge, and we are certainly looking at it,“ Trump said, before clarifying he was talking about antitrust proceedings for all three companies. Though he has called the companies „rigged“ and warned Google specifically „better be careful,“ Trump has in the psat stopped short of commenting on breaking the companies up.